The PERC H700 controllers will align with Dell’s SAS 2.0 (6Gb/s) transition. These controllers comprise the third generation of Dell SAS RAID controllers. 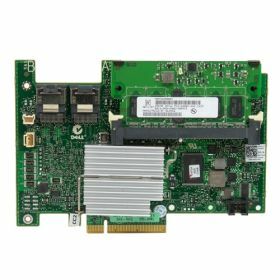 This generation is a series of SAS RAID solutions that will enable support for SAS, SATA and SSD(specifically SATA SSDs) drives internal to Dell Precision Workstations, PowerEdge servers and Dell 6 Gb/s SAS JBOD Enclosures. PERC H700 / Performance RAID: An Enterprise hardware solution (PERC H700) leveraging the ROC (RAID on Chip) to enable a 6Gb/s SAS/SATA solution.